Proud to present, my first beads work ever. It’s Christmas soon so I thought I would hand make some gifts. 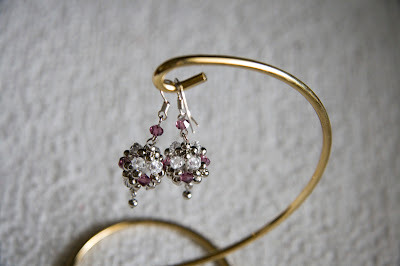 I always love crystal ball earrings and been wondering if I could make one too should I have the right tools. 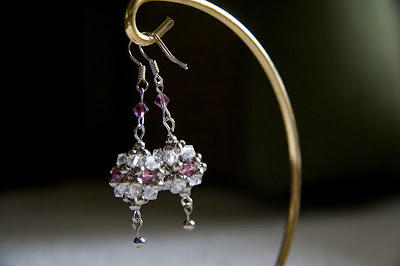 So here it is, this Swarovski Crystalball Earrings are made for a friend that favors purple. I am sure she would love this. 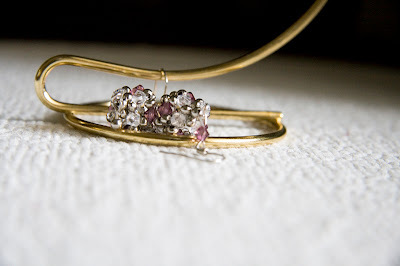 It was made of white and purple Swarovski Crystals, I added seed beads so It'd add extra sparkles to it.